Nepalgunj (also spelled as Nepalganj) lies in Banke District of South west Nepal, on the Pain Terai.The India city is Five hours drive from Nepalgunj. Nepalgunj is the gateway to the Widlife of Nepal. Temperature of Nepalgunj is 30° to 36° Celsius in Summer where as 6° to 24° Celsius in winter. kathmandu Nepalgunj is famous for trekking in Dolpa and Jumla region. Nepalgunj is developing as the biggest Industrial area. Kathmandu Nepalgunj flight are just 1 hours and Nepalgunj ariport is close to Bardia National park, Just 90 km away. 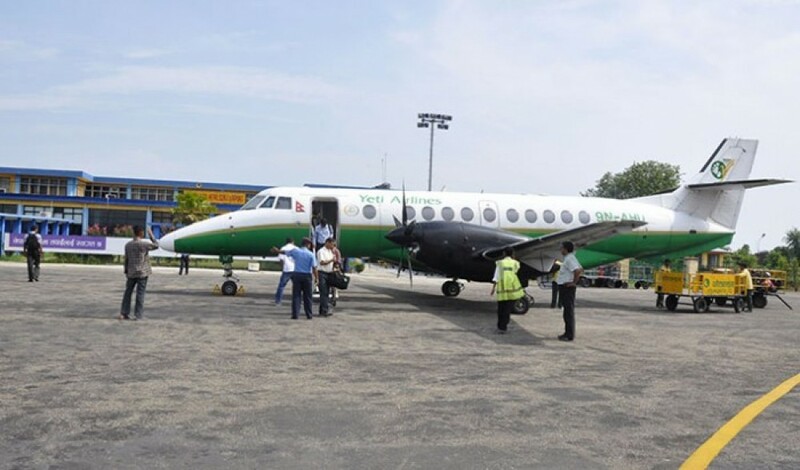 Buddha air and Yeti Airlines operate daily kathmandu Nepalgunj flight or Nepalgunj Kathmandu Flight. You can book the Kathmandu to Nepalgunj flight ticket through our online booking system. All you need to do is select the flight in which you want to go from options below and press the book icon on adjacent to it. Fill the form and submit it. Once the booking is confirmed we will immediately send you the e-ticket of flight by email. we offer you best airfare deal on kathmandu Nepalgunj flight ticket Booking and handle complications in case of cancellation of flight by reschedule of flight time and date on passenger request or refund the airfare amount.